Step by step instructions on how to build the popular catfish juglines manufactured and sold under the Redneck's Juglines name. These are the catfish jug lines that started it all and coined the term "fishing noodle" or "noodle jug". 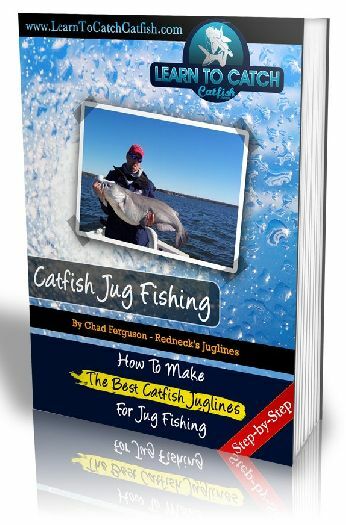 Making and Building Juglines For Jug Fishing is a step by step e-book that walks you through the process of making and building catfish juglines. For close to ten years, I have been manufacturing this revolutionary product to help people catch catfish when jug fishing. I developed and fine tuned the design of these catfish juglines and manufacture them under the name of Redneck's Juglines. I failed to apply for a patent when I began manufacturing the first closed cell foam catfish jug and within years there were numerous other "copy cat" products on the internet. In the pages of this e-book I walk you step by step through the process of making Redneck's Original Catfish Juglines and Redneck's Fish On Flagging Catfish Juglines and walk you through the BEST way to make these catfish fishing jugs. While there are plans for "copy cat" products online, they are horrible plans and I will walk you through the fastest and most efficient way to make these fishing jugs, and cover some many key factors that nobody else knows, or they aren't telling you, like why you shouldn't use rebar or threaded rod to build the jug lines, and some simple cost saving steps to follow when making your jug lines to save you time, money and make them last longer. I will continue to sell my products under the Redneck's Juglines brands but I recognize that some people would rather build their own fishing jugs than but them. It is because of this that I decided I would share the exact plans that I use on the jug line manufacturing processing.